Michael Schlegel is a maintenance technician at Cabot Microelectronics (CMC), the world’s leading supplier of slurries and a growing provider of polishing pads used in the semiconductor production process. He works at a manufacturing plant in Aurora, Illinois and is usually called on to analyze electrical problems. A portion of his job is troubleshooting those problems. The balance of his time is spent on preventive and predictive maintenance or capital projects. He calibrates most of the pressure and temperature transmitters in house, and says he uses the 725 a lot. "The 725 tells me everything about the process, and it covers RTDs, thermocouples, and process loops," he said. "I introduced the 725 to CMC because it’s more adaptable to our business needs than what was being used. The previous calibrator had a lot of modules that would drift and had to be constantly calibrated. The Fluke 725 is much more efficient and easier to use. 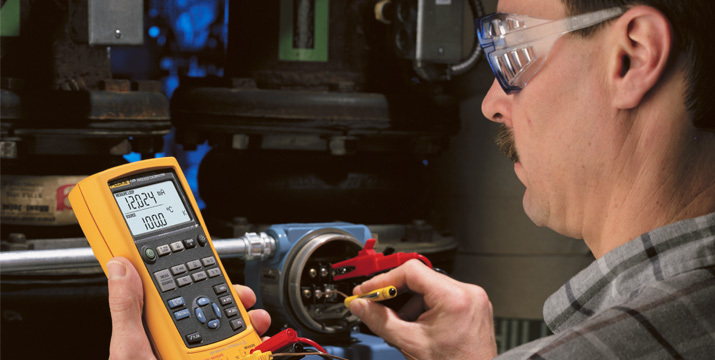 Overall, in our experience, calibration time dropped by 75% with the Fluke 725."